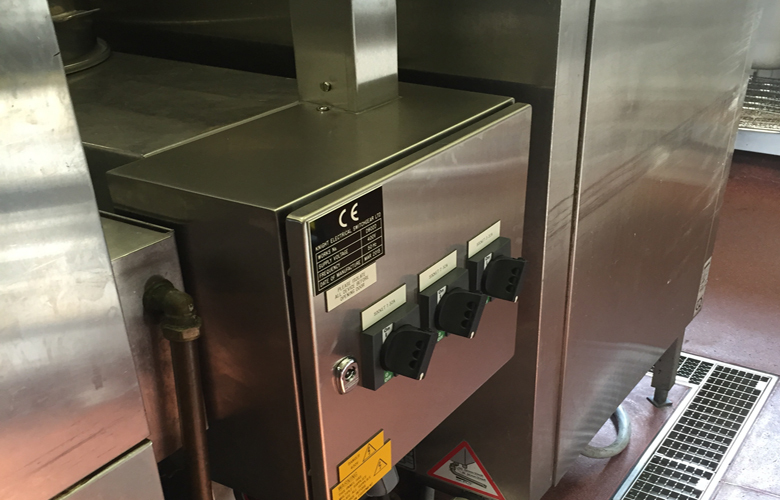 Encore Electrical was invited to a commercial school kitchen in Somerset to find a solution that improved the existing power design, functionality and safety. The existing industrial kitchen installation was showing the test of time, with rusting, deterioration and water ingress being major issues. All new equipment needed to be extremely robust since trolley impacts were not uncommon! Unsurprisingly, an ‘off the shelf’ answer was not available so we were tasked with designing a bespoke solution for this testing environment.